We went to Camden and Philadelphia this weekend. I'm still uploading my camera and unloading our duffel bag. Tomorrow morning, I have to take Ian for a hearing test at the pediatric hospital, so I won't be able to do a proper post until the afternoon. I'll tell you about the River Shark game and then it's onto the Wikileaks saga. Is that from the street in Old City in Philadelphia that’s made mostly of restaurant supply stores? An odd street. But if you ever wanted, say, one of those sugar dispensers that you’d find in a dinner or something like that, most of the stores will sell individual items, not just wholesale. 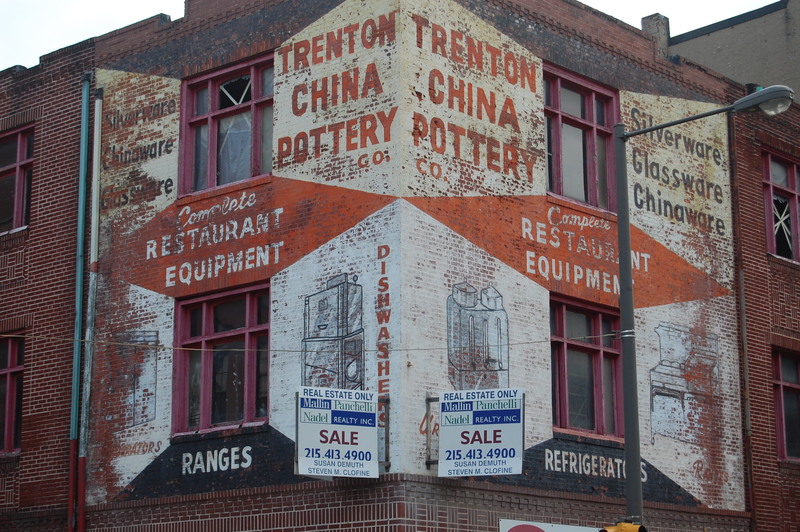 I love the old signage in Philadelphia – and also the Children’s Hospital, which I think is an amazing place. Our little one had her surgery there. Yes, it’s from Old City. What a great area! Not sure if it’s the block with restaurant supply stores. New York City has a block of restaurant supply stores, too.